This style of fishing has been used for centuries in Thailand, ‘Casting Nets’ also known as ‘Throwing Nets’ and ‘Cast Nets’ remain a popular method for both inland lake and sea fishing. 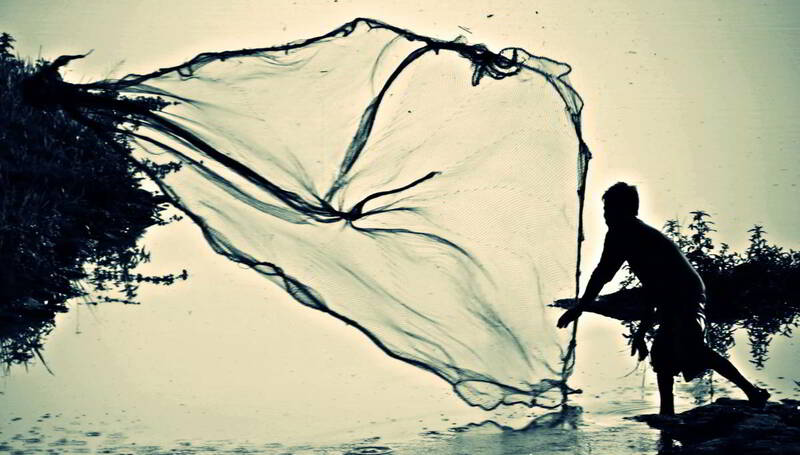 Throwing the net and getting it to open and spread before landing on the water is a well practiced art which is passed on through the generations in Thailand. You may see this traditional Thai fishing method being used on many of Pattaya’s beaches during the early morning hours, or in lakes and ponds. But you are much more likely to see it at Mabprachan or Chaknork lakes, especially Chaknork, and again especially when water levels are low. If you are keen on seeing Thai tradition and culture in Pattaya, head off to Chaknork Lake or Mabprachan Lake with your camera and snap yourself some photos of this traditional Thai art. You can locate both Chaknork and Mabprachan Lake this Pattaya Fishing Parks and Lakes Map. Perfect technique !. A Thai ‘Throwing Net’ master class. Fishing with a ‘Throwing Net’ aka Casting Net at Chaknork Lake in East Pattaya. With a little practice, it’s child’s play.